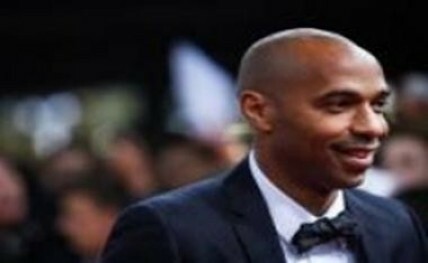 London, Sep 13: Former Arsenal star Thierry Henry is impressed by Anthony Martial's debut goal for English Premier League (EPL) giants Manchester United. Martial, who made his debut for United in a high voltage EPL clash against bitter rivals Liverpool on Sunday evening, capped an impressive performance with a brilliant solo goal to help his team post a 3-1 victory at Old Trafford. With United leading 2-1 in the closing stages, Martial cut inside from the left, rode a Martin Skrtel challenge and finished low into the far corner to seal the victory. "I love the finish, it's a great finish for me. He freezes the keeper by looking up before he hits it," Henry said on Sky Sports on Sunday after the match. The performance has prompted several critics to compare the 19-year-old from AS Monaco FC with Henry, who said the youngster has what it takes to make his mark in the EPL. "He (Martial) stayed composed," the 38-year-old former Arsenal striker said. "I'm happy for him. They're wondering if he spoke English — he proved he did with the ball."